Advertising is King! Advertising is King! Home / Internet Marketing / Advertising is King! Do you ever wonder why Coca Cola still spends money on advert? 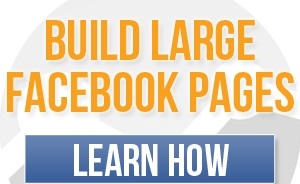 Do you ever wonder why Facebook and all other well-known business and personalities still spend money on advert? It’s simply because advertising is king. What does this mean to you? It simply means that you shouldn’t expect to make any sale or more sales if you won’t advert what you’ve got. It’s simple as saying “No Advert, No Sales”. If you want to be very successful, you must make it a point to advertise as often as possible. Do free adverts as well as paid adverts. There are various good places you can do free adverts or paid adverts online. Advertise what you’ve got but don’t spam. You should know the difference between advertising and spamming. Advertising is talking about what you have in places where it is requested. Spamming is talking about what you have in places where it is not requested. Your blog may have great contents, but if you don’t advertise it, only few people will get to read your great content. The truth also is, good products advertise itself but if you want more sales of the good product, you need to advertise it well. The market you are into is so crowded, you need to market your product in order to be visible in the market. As a digital marketer, what matters most to me is targeted and organic traffic but I can’t get so much of these if I choose not to advertise. If you want targeted traffic or organic traffic, you need to learn how to advertise effectively. Advertising is not about spending money to advertise, it is about getting the right result. Don’t go from here to start advertising because I said advertising is king. You will only lose your money on advertising if you don’t do the necessary things to do before advertising. Advertising is not all about what you pay per click on your ads or what you pay per view on your ads, it is more about what you earn per click on your ads. This is what is also referred to as conversion. If you put these into your advert plans, money will start chasing you everywhere. If you need help with advertising your product, service, website etc, you can contact me via the contact page and I’ll respond to you. Please note, I can teach you how to do it yourself and if you can’t, I can help you with advertising. Whichever you want, please state it clearly in your message to me. Do you advertise? Do you have suggestions why you think advertising is king? Or do you have suggestions otherwise? I’ll be looking forward to your response. sure advertising seem to be the king. from my own view and experience, facebook ad would remain the king and just like what you said earlier, to make your blog or site seen in that crowded market you will need to do it rightly and facebook ads has stood the test of time. once again i want to say thank you for the opportunity you give to contact you to know more on adverising, i wont hesitate to do so.